1. Combine the garlic, ginger root, cinnamon, cumin, paprika, parsley, cilantro, sea salt, pepper and olive oil in a food processor and blend until smooth. 2. Pour the sauce over the chicken breasts and let marinate for at least 1 hour (best to marinate for 3-4 hours if you can). 4. Slice one of the lemons as thinly as you can into many slices. 5. 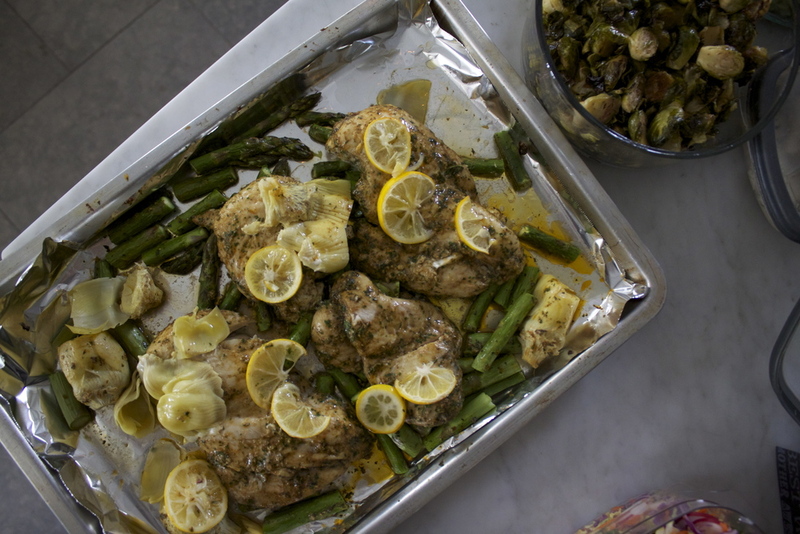 Spread the chicken out in a baking dish and place the lemon slices on top. Cover with tin foil. 6. Roast the chicken for 20 minutes, or until cooked through. 7. Remove from oven. Mix together the juice of the second lemon with the honey and pour over top. 8. Add some freshly chopped parsley and/or cilantro on top.